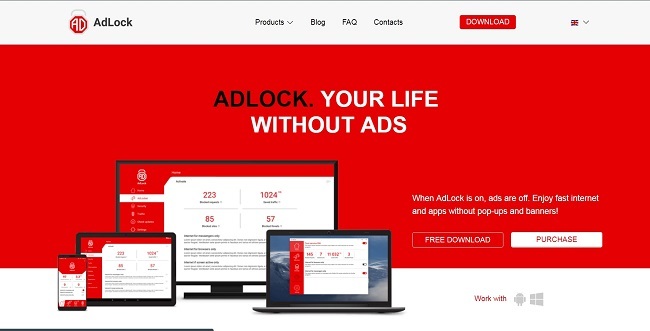 AdLock Review: Is It Most Functional Ad Blocker to Remove Ads? Is not it really annoying when you are browsing a website, and some random popup ads are blocking your way? Well everyone hates this, and there is no doubt about that. Even those popup, video ads burns down our mobile data and slows down the Internet connection. But what if we tell you that you can quickly get rid of those annoying popup ads? Would not it be a good thing? Of course, it will. That is why just to help you out we have handpicked this tool called AdLock. Now the question is what is AdLock and how it can help you? Well, let us answers the question for you. In a single sentence, you can say that AdLock is an ad blocker. 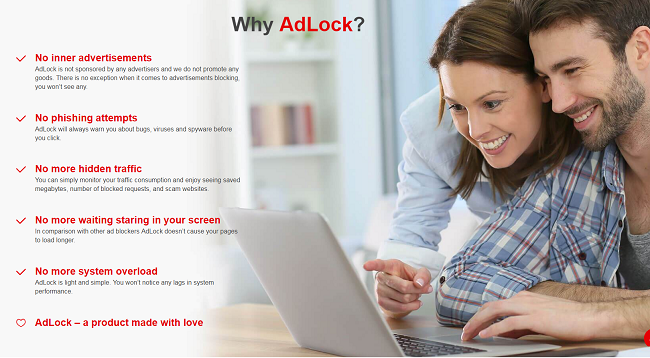 The AdLock software is a comprehensive ad-blocking tool that can block all type of advertisements online. It can help you to block popup ads, flash banners, video advertisements, banners with malware code. As well as it can help you to block all the Internet bugs that securely collect your data. Also, AdLock will not only help you to block the browser advertisements. But it will give you overall protection for your browser, apps, and games and so on. Moreover, the software also can block ads from YouTube. Furthermore, you can install AdLock on your Windows and Android device. However, as of now, AdLock is only available for the Android devices. Plus it is extremely easy to use and lightweight. So that was an introduction to the AdLock software. Now let's just talk about some of the top features that AdLock is offering. AdLock is capable of blocking all type of advertisements. No matter if you are playing a game, or simply browsing through your internet browser or watching a youtube video. 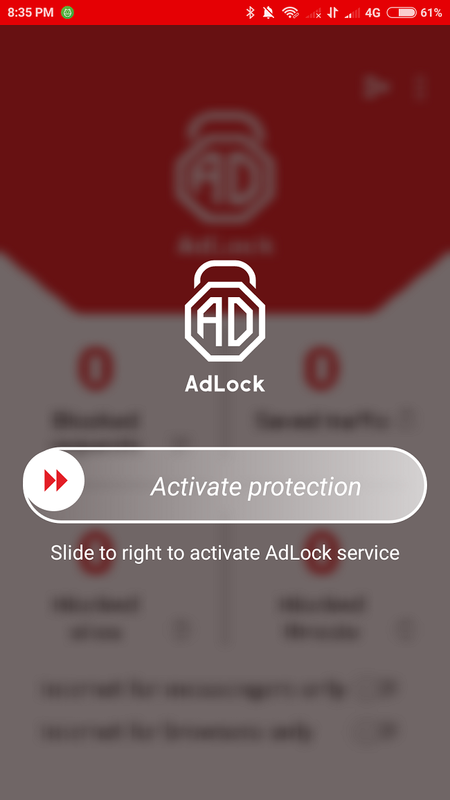 The AdLock will make sure that you are not getting interrupted by annoying ads. The internet is full of different malware and bugs that keep trying to get access to your personal data. However, if you choose to use AdLock, then it will help you to prevent all the phishing attempts. As well as it will block all the suspicious unwanted requests. AdLock also can help you to block a different kind of bugs and spyware from getting installed on your Android device. The AdLock app can help you to save your mobile data. As it helps you to restrict the internet connection form selected apps. Hence, as a result, the apps won't be able to run any activity in the background. Never go over the data limits again. You can restrict internet access for certain apps or stay connected only when the screen is on. Apart from saving your mobile data. You can also use AdLock to increase the battery life of your smartphone. As it will help you to block apps background activities. So eventually it will help you to improve the battery life of your smartphone. AdLock does not require root access. Hence, as a result, you can install the application on your Android device effortlessly. Apart from these features, the AdLock also offer you a safe browsing experience. Plus it filters all the incoming Internet traffic and helps you to regulate Internet usage. Also, it won't let you go to the dangerous websites as it checks all potentially harmful links first before you visit the site. So that was all the top features that AdLock is offering. Apart from these, there are also other features are also exist. To know about those features, you better go and download the software. How to install AdLock on Android Smartphone? First of all, you have to download on AdLock. After that, you have to follow all the screen instructions to install the application on your Android smartphone. Once done, you are all set to use the application on your Android smartphone. Now the question is how you can use the application on your Android device? Well for this you have to launch the application and activate the AdLock protection. Then on the app itself, you will find different settings. For like you can select settings like "Internet if screen active only" "Internet for browser only" and so on. Just go through the settings and select your preferred one and you are good to go. 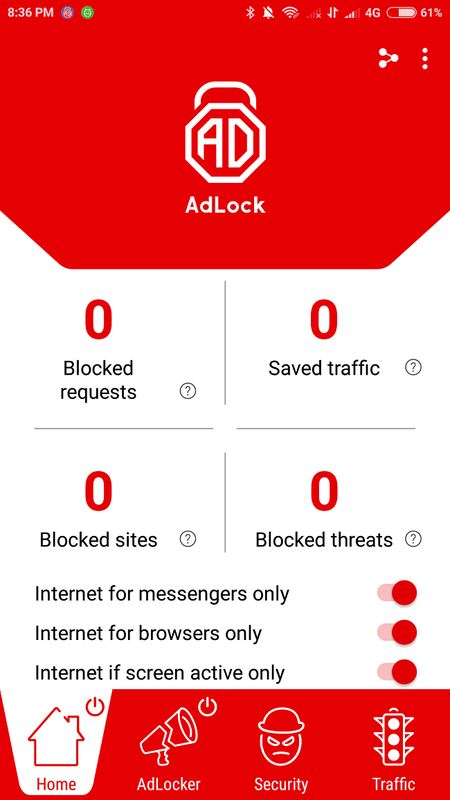 Overall the AdLock is one of the most functional ad blocker for android apps that you can try out. The app comes with some useful features, so go ahead and have a look at it. Also for any questions, feel free to leave a comment below.